Nokia, the smartphone manufacturer that changed it all with mobile phone icon menus and the addictive Snake game, is back to making phones - mostly featuring Android 7.0 Nougat. Mobile World Congress (MWC) is the launch platform for some of the biggest smartphones each year and we've been at the Nokia event today. We've detailed all the phones below - Nokia has confirmed the new Nokia 6, Nokia 5 and Nokia 3 will all go on sale globally in Q2 of this year. 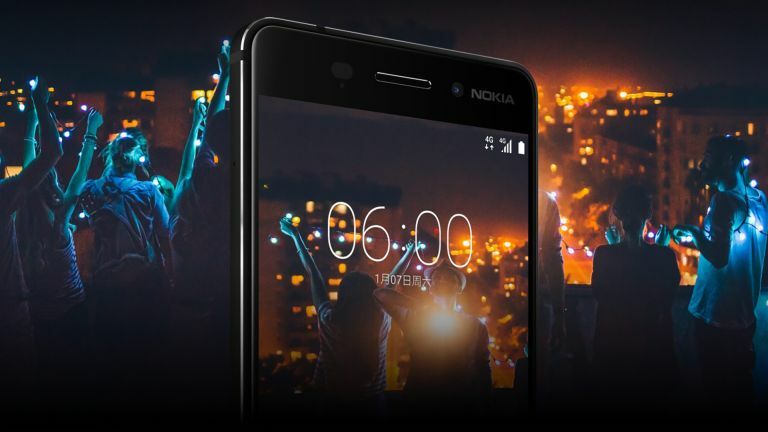 The Nokia 6 is not a high end device, but it costs just £195 (around €229 EUR, $240 USD) and launches globally after a short period of exclusivity in China. It is also most feature packed of the firm's new trio, with a 5.5-inch full HD display, Snapdragon 430 chipset, 3GB of RAM, 32GB of internal storage, 16MP rear camera, 8MP front camera, fingerprint scanner and a 3,000mAh battery. There's a special edition variant - the Nokia 6 Arte Black - which features a glossy 'piano black' rear, 4GB of RAM and 64GB of internal storage for an asking price of £215 (around $315 USD and 299 EUR). The 3310 is back! The new phone is seriously basic, but what did you expect? It features Snake, the Nokia ringtone and not a great deal more. While the Nokia 6 is most of interest, there's also a new Nokia 5 and Nokia 3. The Nokia 5 is a compact version of the 6 and has a few extra features over the cheaper Nokia 3. The Nokia 5 comes with a 5.2-inch HD display, Snapdragon 430 chipset, 2GB of RAM, 16GB of internal storage, 13MP rear camera, 8MP front camera, fingerprint scanner and a 3,000mAh battery. Like the 6, the new Nokia 5 also features a full metal body for a premium look and feel, and the front mounted fingerprint scanner doubles as the home navigation key. The budget Nokia 3 has a 5-inch HD display, MediaTek quad-core chipset, 2GB of RAM, 16GB of internal storage, 8MP rear camera, 8MP wide-angle front snapper and a 2,650mAh battery. The much leaked flagship smartphone for the re-launched Nokia should be the P1. This is expected to come in a metal unibody build and offer a Snapdragon processor either at the 835 or 821 level. This should be backed by 6GB of RAM, a 5.3-inch display under Gorilla Glass 5 and IP57 protection plus a Carl Zeiss 22.6-megapixel camera. Also rumoured on the Nokia P1 is a 3,500mAh battery with Quick Charge 4.0. The Nokia P1 is expected to be priced at around £630 with 128GB storage or at £750 with 256GB onboard. Almost certainly making an appearance at MWC will be the Nokia 6, which is already on sale, but not worldwide. This features a 5.5-inch Full HD screen, Snapdragon 430 CPU, 16 and 8-megapixel cameras, 4GB of RAM, Android 7.0 Nougat, 64GB storage and a price tag of around £200. There are rumoured to be two more appearing at MWC in the forms of the Nokia 5 and Nokia 3. These are expected to be more affordable versions of the Nokia 6, with lower specs. The Nokia 5 is rumoured to come with the same Snapdragon 430 processor as the Nokia 6 but with a 5.2-inch screen that tops out at 720p resolution. The Nokia 5 is also expected to arrive with 2GB of RAM and lower res cameras which is all reflected in the lower £170 predicted price. The Nokia 3 will be the most budget of these handsets with a £130 price and little else leaked in terms of specs. Expect Android 7.0 on all three phones though. The rumour mill has the interwebs fizzing with excitement about a new version of the classic “brick” Nokia known as the 3310. This solid handset that just did not break and featured the ever addictive Snake game could have a new version release as an homage to its greatness, rumours suggest. The design of the 3310 is expected to remain largely unchanged, it'll come in several colours, but the phone will be thinner and lighter than the OG. The 3310 will remain a feature phone, no Android here folks, but it'll get an upgraded colour screen. The new version of the handset is also expected to come packing that famously long battery life and resilient build. For under £80, as it’s rumoured, this could be the ultimate gig phone. It’s not clear if this new handset will feature anything more than phone and SMS access but we’d hope also for a camera and perhaps the basic apps too. We’ll have to wait until 26 February for the big reveal but expect more to leak in the build up.